1. Make sure Tiny Core Linux is connected to the internet. Simple ping test to google.com is enough. If there is reply from google.com, it means that internet is working fine. However, if there is no reply, then you need to check the connection. 2. 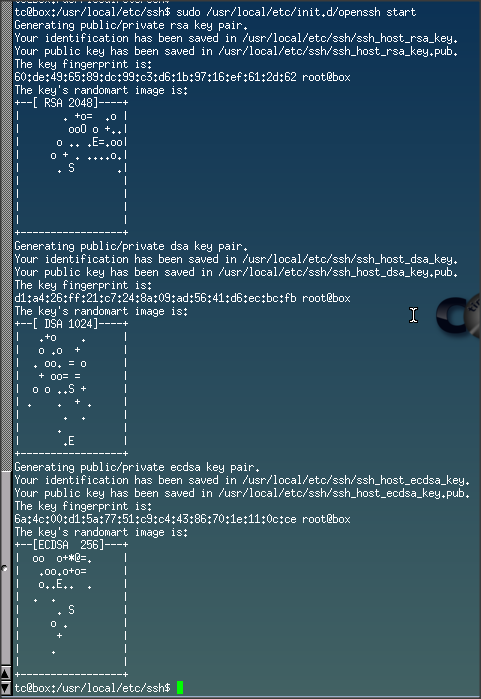 Open terminal and type “ab openssh”. Ab is stand for AppBrowser. 3. Once the Ab (AppBrowser) found the OpenSSH package which is openssh.tcz, enter “1” to select it. 4. The following menu explaining about openssh.tcz will be presented. Enter “q” to quit from the info page. 5. Enter “i” to install the openssh package. 6. Wait for a few minutes as OpenSSH package and the necessary dependencies will be downloaded to your Tiny Core Linux box. 12. Test your OpenSSH configuration by from ssh client. I’ll be using PuTTY for this purpose. 14. To login, change the tc user’s password by using “passwd” command. 15. Go back to the putty client, and login with the new password of tc user. This was very useful and saved me some time to understand Tiny Core. Thanks for writing this up. New to tinylinux as well. Thanks you so much. Simple precise and easy to follow.